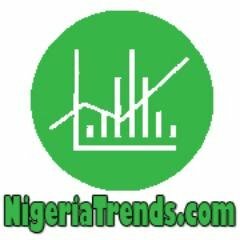 NigeriaTrends.com — U.S President-Elect Donald J. Trump today (Dec. 3rd) appoints Nigerian billionaire Adebayo Ogunlesi into his economic advisory team, and the good news has been met with positive reactions from Nigerians across the globe. Nigerian-born Adebayo Ogunlesi, who is the chairman of Global Infrastructure Partners, a private equity firm and one of Fortune 500 companies, has been named a member of an economic advisory forum to US president-elect Donald Trump, Vanguard reports. The 63 year-old Nigerian Billionaire is the only African face in the 16-man team, which has Steve Schwarzman, CEO of private-equity giant Blackstone as chairman. Adebayo Ogunlesi, whose father came from Makun, Sagamu in Ogun state was born in 1953. His father, Theophilus Ogunlesi was Nigeria’s first professor of medicine. After attending Kings College, Lagos for his secondary education , he received his B.A. with first class honours in Philosophy, Politics and Economics, from Oxford University. He graduated from Harvard Law School in 1979 and later got an MBA from Harvard Business School. Ogunlesi was recently named an independent director of Goldman Sachs Group, Inc. Apart from being managing partner of Global Infrastructure Partners, he also serves on the boards of Callaway Golf Co. and Kosmos Energy Ltd. He is happily married to an optometrist, Dr. Amelia Quist-Ogunlesi. His company Global Infrastructure Partners manages Gatwick Airport in the UK.